Every Pokemon fan knows of the TCG, whether they played it seriously from any point in its lifetime or they just liked the pretty pictures. It's one of the most popular card games, having a worldwide series of tournaments every year. This guide will lay down the basic rules of the game, because you cannot play a game competitively unless you know the rules. Pokemon: The creatures you fight with. While the other two types are technically not absolutely needed, you cannot play without a Pokemon card in your deck. Pokemon have different stages as well as more powerful versions: Basic, Stage 1, Stage 2, Restored, Star, EX, Lv. X, Prime, LEGEND. Energy: These give your Pokemon the necessary power to use their attacks. They're separated into Basic Energy and Special Energy. Special Energy have added effects to them which can be very useful. 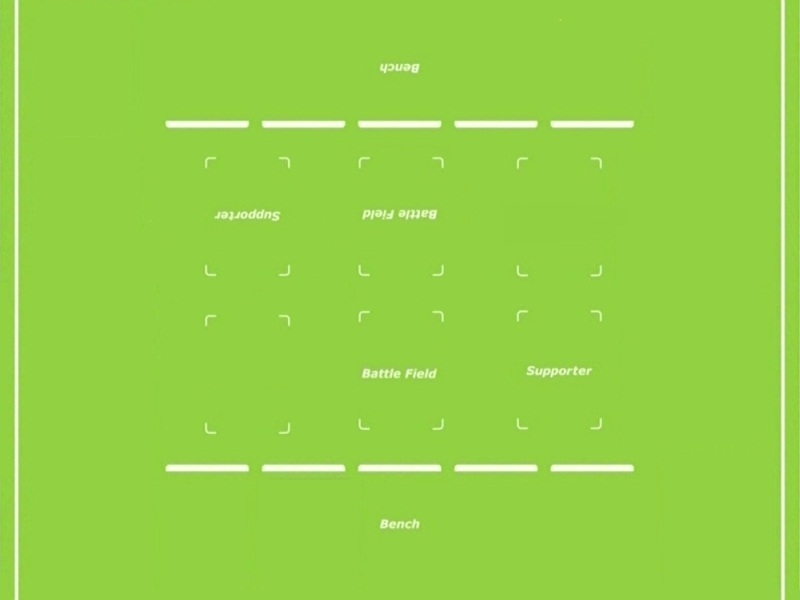 Trainer: These are not limited to only people, but are separated into smaller categories: Item, Supporter, Stadium, Tool. Previous expansions also separate Fossils but any fossil from BW-on is an Item card. Trainers have a wide variety of effects. With all these, you have to construct a 60-card deck, unless you're playing the quicker version using only 30 cards in a deck. The restrictions to your cards are 4 of any card with the same name in a deck, with some special cases. Of course, you can have as many Basic Energy as you like, but Special Energy are restricted this way. Arceus is the only Pokemon that can bypass this, so you can have as many Arceus as you like. EX Pokemon are considered different, so you can have 4 Mew and 4 Mew EX. Same for LEGEND, except due to LEGEND cards being two cards in one, essentially you can only have two full LEGENDs in your deck. Star Pokemon are marked by a small star next to their name, and they are restricted to only one per deck. Lv. X and Prime are considered to have the same name, however, so you can have 2 Torterra and 2 Torterra Lv. X, or 2 Espeon and 2 Espeon Prime. With a deck constructed, you can then play. But there's many more things to playing. To start, your deck will typically be on your right. When you start a game, you will shuffle your deck and draw 7 cards. You lay one Basic Pokemon card in the Active position facedown, and any others you may have can be placed on the Bench facedown (your Bench can hold up to 5 Pokemon). Once that is done, you take the top 6 cards of your deck and place them on your left facedown without looking. These are your Prize Cards. If a player does not have Basic Pokemon to begin with, they shuffle their hand back into their deck and draw again, while the opposing player draws another card after setting their Prize Cards. If both players do not have Basics, they both shuffle and draw again, with no bonus to either. Once the cards are set up, both players flip over all their Pokemon and flip a coin to see who goes first. The final action of your turn will typically be attacking. Before attacking, you ensure you have sufficient Energy to do so. Once you've confirmed, you will add damage counters to the Defending Pokemon. Here's where type plays in. 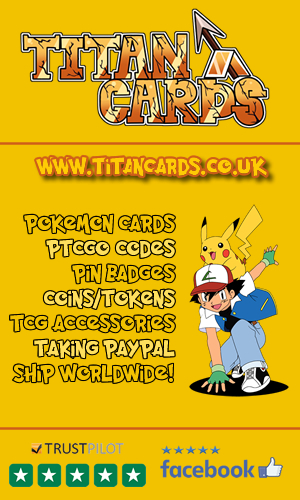 There are 10 types in the TCG. To the right is every single one of them, as well as the types from the video games associated with them. Anyway, most Pokemon will have Weakness, Resistance, or both. If the Attacking Pokemon's type corresponds to the type(s) for Weakness or Resistance, then you will apply those damage modifiers. Nowadays, it will tell you how much damage it adds or subtracts, but in the case of older cards, which do not mark this down, it is always Weakness x2 and Resistance -30. Some attack effects may add to the damage, which is done before Weakness and Resistance. Speaking of effects, there's several special conditions that must be covered. Special Conditions are the status afflictions taken into TCG format. Only the Active Pokemon can be afflicted by these. Benched Pokemon cannot have them, and if the Active Pokemon is taken to the Bench, the conditions are removed. Asleep, Paralyzed, and Confused can all be removed by each other, but Poison and Burn can stack on any Special Condition, even each other (not on themselves). Burn: Between turns, the player flips a coin. If heads, no damage is taken. If tails, 2 damage counters are placed on the afflicted Pokemon. The Pokemon can Retreat. Poison: Between turns, 1 damage counter is placed on the afflicted Pokemon. It can Retreat. Asleep: Between turns, the player flips a coin. If heads, the Pokemon wakes up. If tails, it remains asleep. The Pokemon cannot Retreat. Paralyzed: The Pokemon cannot attack or retreat for one turn. Confused: The player flips a coin when they declare an attack. If heads, the attack is performed normally. If tails, 3 damage counters are placed on the afflicted Pokemon and the turn ends. With basic rules in mind, you can now play the game, however, there's much more in the case of competitive TCG.